Deep beneath the Taverley dungeon, a beast is lurking... Cerberus has arrived. 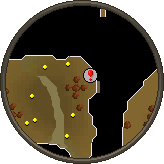 If you think you've got what it takes to take on Cerberus, you can can make your way to the boss using the entrance found near the hellhounds in Taverley dungeon. 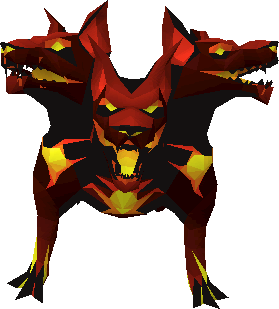 Cerberus requires 91 Slayer to kill and you must be on either a hellhound or Cerberus task in order to kill the beast. Those of you able to take on Cerberus will certainly be rewarded. The boss has 4 signature drops to offer. Cerberus has a slim chance of dropping primordial, eternal and pegasian crystals. These crystals can be combined with the current best-in-slot boots for melee, magic and ranged to create the new, top tier boots in Old School. In addition to dropping these crystals, Cerberus also drops the smouldering stone. This item can be combined with either a dragon axe or dragon pickaxe to create either an infernal axe or infernal pickaxe. The infernal axe is a hatchet of the same tier as a dragon axe. When chopping trees with the infernal axe there is a 1/3 chance the logs will be burnt as they are chopped. This will give you 50% of the firemaking experience that would usually be gained by using a tinderbox to burn the logs. The infernal pickaxe is a pickaxe of the same tier as the dragon pickaxe. When mining rocks with the infernal pickaxe there is a 1/3 chance the ore will be smelted as it is mined. This will consume the ore and will give you some smithing experience based on the amount that would usually be gained when creating a bar from the ore.
For rocks that cannot be smelted you will receive smithing experience based on the level required to mine the rock. Finally, Cerberus will have a very slim chance of dropping a Hellpuppy! 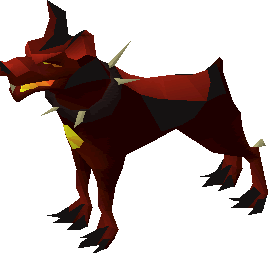 You'll be hard pressed to find one of these pups wandering about Gielinor. Players had requested larger boss slayer assignments. These had been small initially due to concerns about crowding in boss rooms making a long task impossible to complete. We have now changed the way the tasks are assigned. Upon receiving a boss slayer task you will now have to choose the size of the task before heading out to kill your target. If you're a particularly tough player, and you're not concerned about crowding you can choose the maximum size task, which is 35 for most bosses. Otherwise you can choose a smaller task, with a minimum task size of 3. Once you've been assigned a boss task, contact your slayer master to pick a task size that suits you. 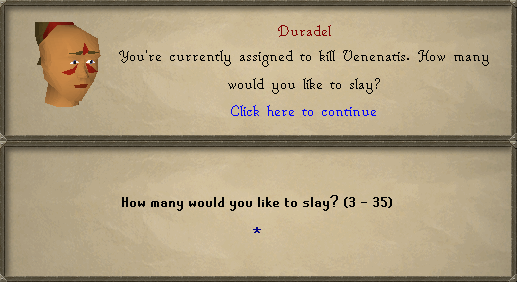 Killing the boss before choosing the number will not count. We've made a number of fixes to the engine that should resolve a majority of the issues introduced with the update last week, although work is still in progress on certain bugs, and we'll be keeping an eye out for new issues. If you encounter any problems, please report the issues using the bug report form. You can now store Holy Sandals in your PoH Treasure Chest. Every piece of dialogue in the game where "that's" was missing an apostrophe, now has an apostrophe. Fixed occasional render issue with certain ranges during the cooking animation. Akthanakos' head no longer stretches during his transformation in the Enakhra's Lament quest. Liliwen is a healthy elf now (She had a render order issue). A typo in the canoe expert's dialogue has been fixed. Corrected a typo in Phantuwti's dialogue. Your current slayer task is Abyssal Demons. Please slay 168 of them. This is pretty sad. So much wrong/bugged with Cerberus! What a disappointment!